Profile | Oral Surgeon in Cincinnati, Ohio Steven | J. Reubel D.M.D. Dr. Reubel is Ivy League educated. He holds a BS in Electrical Engineering and a DMD, both from the University of Pennsylvania. This unique educational combination helps Dr. Reubel engineer and utilize the best approach to achieve exacting results and the most painless surgery possible. His additional training at Queen Victoria Hospital, East Grinstead Sussex, U.K., the Maxillofacial Unit of Southern England gave him experience using a different set of instruments and surgical techniques that make oral surgery less invasive, less painful and less apt to have complications of dry socket. Dr. Reubel continues to use these techniques to provide his patients with a more comfortable oral surgery experience. 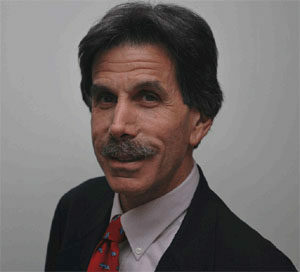 Since 1983 Dr. Reubel has been in Private Practice in the Kenwood area. He has been helping patients solve their oral surgery needs in Cincinnati for over 35 years using minimally invasive techniques that has yielded excellent results. As Chairman of Oral and Maxillofacial Surgery/Dentistry at Good Samaritan Hospital since 1990-2015 he has kept current with the latest advances in oral surgery. He has the breadth and depth of experience to work on the widest array of patient’s oral surgery needs.